We are officially in the digital milieu and social media has been acknowledged as one of the most powerful influencers in the digital narrative. 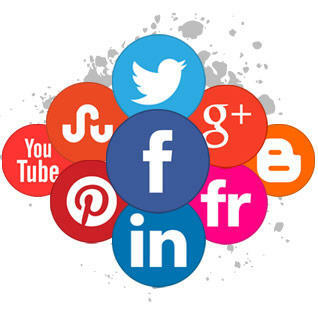 Businesses and individuals are increasingly taking to social media to share and to receive information. With social networking sites growing in popularity, the programming languages used for building the sites and applications have undergone changes over the years. The choice of languages to build social networking sites changes from site to site, but some programming languages are the most sought after; here is a look at a few popular choices. Despite the fact that Perl has a reputation of a language that was developed in the pre-social media period, it is still a good choice. This high level language has been used by some of the most popular sites and has been offering reliable support for handling a very large community of users. This is precisely why Amazon and Craigslist rely on Perl. Though this does not qualify as the most cost effective or fast option to build a site, organizations still continue to choose this programming language for the benefits and versatility it offers. When it comes to a shortlist of programming languages for most requirements, it is hard to find one without Java. The programming language has become one of the most popular, especially because of its association with Android which currently rules the mobile world. Popularity begets popularity – Java has a very large community of developers who offer considerable support. This has resulted in building the best functionalities, which combines with the powerful capabilities of Java as server side and client side programming language. Some of the biggest and most popular sites have been built with Python. 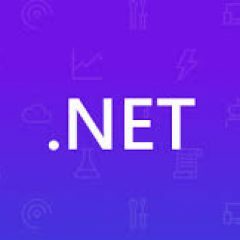 This high level programming language is a great choice for web development, despite being capable of handling only the back end development. Sites typically use a combination of Python for the back end and other programming languages for the front end. Though it is relatively slower when compared with programming languages that do not fall in the category of compiled languages, it is still a popular choice. Eight out of ten websites use PHP, indicating the popularity of the programming language. Accounting for the top social networking sites including the likes of Facebook, PHP offers powerful features for building dynamic web pages that are interactive. And this is where it scores as the best option, as social networking is all about interaction. The standout advantages of PHP as a programming language is the speed with which sites can be built and the relatively lesser cost of developing a site. The ease with which sites can be built makes this one of the most popular choices among all programming languages. The explosive growth of apps have enabled the launch of a large number of dating applications and sites. The convenience of apps need no introduction and have disrupted entire business models with new capabilities and features that ride on the advanced technological capabilities of mobiles. Social networking sites and dating sites have been built using various programming languages. While some programming languages are suitable for building apps of certain sizes, some are suitable for large sites. Acronym for Hypertext Preprocessor, this server side scripting language is popular among developers for building dating sites. The large number of dating site ready scripts that are on offer are an indication of the popularity of PHP. Some of the standout advantages of PHP is that it can be embedded into HTML, it can be used in combination with a host of content management systems and different frameworks. The latest version presently available is PHP 7.3, released in December 2018. This falls into the category of high level programming languages, which means that it does not require a separate translator or compiler to get the system to understand the instructions. By virtue of being a high level language it is typically regarded as tougher to learn. It supports object oriented programming and structured programming in addition to many other types of programming. One of the most popular programming languages, it was the favourite of an entire generation of developers and is still popular for specific applications. It has the ability to work on all platforms, it extends support to APIs, and the object oriented language benefit. In addition with Andoird devices remaining the most popular among mobile users, the default status of Java for Android applications makes it a popular choice. All browsers support Java and therefore it is the best choice for the front end. Since launch in 2008, HTML5 has become a popular choice for applications with extensive support for multimedia and new features. Examples of dating sites that implement this language are SextingChat.com and AdultHookupApp.com. The backward compatibility of HTML5 makes it the perfect replacement for HTML4. It offers the best balance for easy readability by humans while being easily understood by browsers, making it the best option for cross platform applications. HTML5 has the distinction of being used by one third of the top 100 websites in the world. And among the most popular adopters, social networking and search engines figure right at the top. It is hard to imagine business entities succeeding in marketing without SEO in digital marketing channels. Regardless of size of business or niche, SEO is pivotal to the success of marketing efforts. This has become imperative for most businesses, due to the large number of disruptions occurring worldwide. For instance, OTAs and aggregators of travel vacation services are proving to be strong competition to traditional business models. Clearly there is now a need for businesses to get their act together with the right SEO in place. Here is some interesting information about SEO. What exactly is SEO in a nutshell? To cut out all the jargon and complex technical information, SEO can be referred to as a combination of actions that are designed to increase the traffic to a website. This is achieved through the use of keywords in content and metadata, links from sites, and ensuring that the website is structure in a manner that is search engine friendly. On page SEO refers to those aspects of optimization that are directly related to the content and technical parameters on the webpage that you intend to optimize. For better on page SEO you need to have superior quality content, you need to do your research on keywords, and most importantly you need to use the keywords intelligently without getting on the wrong side of search engines. You need to have adequate knowledge about HTML, title tags, meta descriptions, and site architecture. Off page SEO refers to those aspects of optimization that are not exactly in your full control, but which have a bearing on your site ranking. 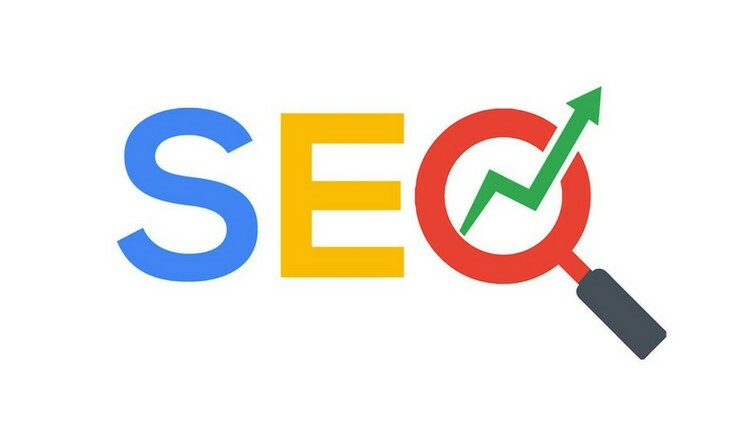 You can work on improving your off page SEO to ensure that the combination of on page and off page SEO help to build your ranking and results on SERPs. These are critical aspects that affect your site ranking. Your site needs to be mobile friendly and it is only a question of time before it becomes the norm, judging by the explosive use of mobiles for search. The rates at which visitors to your site leave the site after staying for a short time on a page is the bounce rate. If the bounce rate of visitors to your site is high, you can be sure that your rankings will dip. There are multiple factors that affect these metrics. It could be the quality of content on your website, it could be the unusually long time required for a page to load, or it could be that you have used the wrong keywords which may have brought the wrong kind of readers to your site. While it may appear that SEO can be achieved in-house, it may not work for all businesses. SEO requires specialist knowledge and continuous effort from a dedicated team. If your business has the resources for a dedicated team of expert(s) to handle SEO, then it can be achieved in-house. However, the most cost effective option is to use the services of reliable and result driven SEO specialist agencies. Reason? There are technical requirements, such as the latest Google updates that need to be monitored to ensure that your site is not removed from search engines. A specialist SEO agency will have the right mix of talent to handle all the complex technical and content requirements to ensure that your SEO is handled right. 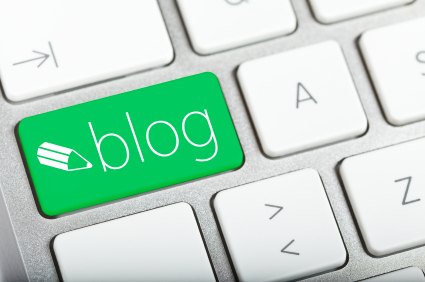 Blog key on a keyboard. Web design languages are the programming languages that determine the appeal. It is therefore necessary for leveraging the options and output of programming languages to get the best appeal in blogs and WordPress sites. While technically, it may not be necessary for an individual who writes a blog to have programming skills, it pays to be aware and it helps in improving the overall appeal. While there are different languages that are typically used in WordPress sites and for blogs, there are a few languages that are the most popular. CSS – As the name Cascading Style Sheet implies it relates to the style. It is this markup language that transforms the appeal on pages and makes pages look a lot better and inviting. It is also used for animating, moving elements, shaping the elements, stacking them, and transforming them with multiple features. This markup language is used in combination with HTML and among developers there is agreement that the two cannot be separated. PHP – Knowledge of PHP is regarded as mandatory among individuals who intend to make changes to WordPress. PHP is the language used for creating plugins and is also used for the inclusion of additional functionalities. The recent advances in the versions have made it more user friendly than its earlier versions, making it easier to use and is presently considered as one among the easier programming languages to learn. HTML – While this falls into the technical category of markup languages along with CSS, it offers coding for the creation of tables, and inserting images. HTML is regarded as more or less necessary for individuals who intend to work with WordPress. The standout feature of HTML is the fact that it resembles the page, and is easy to master. Its versatility and simplicity steal the show, making it a preferred option among individuals who work on WordPress and blogs. We are officially in the digital milieu, with information technology driving all functions and services either directly or indirectly. The biggest disruptions in the world are a result of information technology. Developments in programming languages have been the driving force behind the impressive advances in applications and software. Programming languages are classified into different types, but for the purpose of brevity they can be categorized as high level and low level programming languages. Let’s dive deeper into the different types of programming languages. A low level programming language refers to any program that works within the limitations of the hardware components of the computer. A low level language is associated with the operational conditions and is therefore known as a computer native language. It is intended to handle the hardware architecture and instructions of computers and does not require any interpretation. Machine language and assembly languages are typical examples of low level languages. This refers to a programming language that permits the development of another program which will work in a manner that is convenient to the user. It also means that a high level programming language will not depend on the hardware architecture of the system it is intended work with. Typically, high level languages have a more sharper focus on the programming logic, and are hardware agnostic. Examples of high level languages are C+, Java etc. High level languages require either an interpreter or compiler to get it to work in a system. The earlier versions of high level languages, such as Pascal, FORTRAN, C and COBOL are not widely used and have been largely replaced by improved versions known as problem oriented languages. Also known as fourth generation languages, the best examples include Visual Basic, C++, and PHP. The popularity of these programming languages is the fact that programmers/developers need not look ascertain information from the system while developing a program. 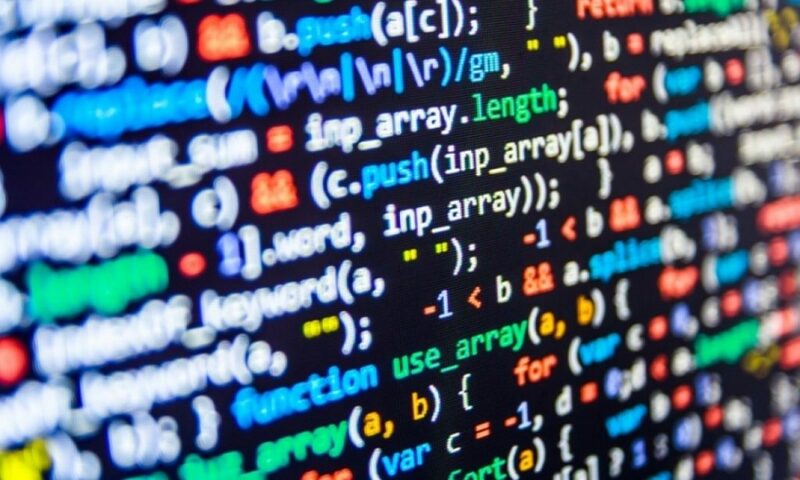 The developer only needs to work on the algorithms and programming logic, leaving the compiling and translation to other components of the software.